With two losses in their first two matches of CONCACAF’s fifth round of World Cup qualifying and a new/old coach now at the helm, the U.S. desperately need a jump start ahead of their match against Honduras. 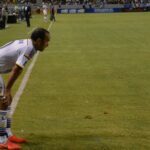 And so, at a rally the night before the qualifier, Landon Donovan decided to offer a very literal jump start by nearly plunging to his death off a taco truck. 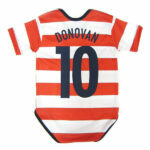 Having confirmed that he is once again retired, I guess Donovan is less concerned about risking bodily harm. More importantly, this should clear up any doubts about the validity of Landon’s adventures of epic broportions.